ZINVERT four-quadrant energy regeneration-type HV variable frequency speed control system is developed by Zhiguang Electric specially for industrial applications requiring variable-frequency four-quadrant operation. Such system has a wide range of applications in shaft hoisting and other similar operating conditions. Such four-quadrant energy regeneration-type HV frequency converter independently developed by Zhiguang Electric includes the adaptive vector control technology. It controls the unit power factor on the input side by accurately controlling the input current of the power unit. 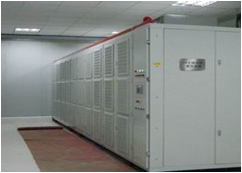 Besides, it performs the closed-loop control on the DC voltage of this unit to ensure the stability of such voltage. In this way, the operation reliability and stability of the whole system are improved significantly. 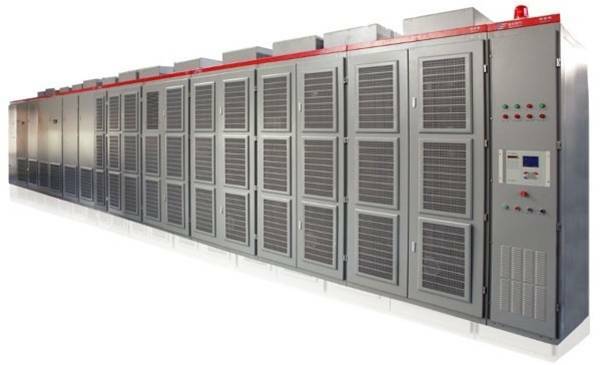 The power unit is supplied with three-phase power outside, which is output as a single-phase voltage after being rectified and filtered inside. The rectification is finished by a three-phase controlled rectifier and the closed-loop control is performed on the voltage. For the filtering capacitance, the soft charging technology is used to effectively prevent the capacitor from being impaired by charging current. The SPWM inverting control technology is applied for the inverter control.